What a general contractor in New York should know when choosing an insurance company & insurance agent or broker. If you work in the construction industry or thinking about becoming a general contractor, your knowledge of General Contractor’s Insurance is one of a handful of factors that will determine how successful the business can be. For many contractors in New York, the insurance requirements and the insurance cost will be one of the largest line items on your expense sheet. Since we know this, we also understand that the insurance cost will play a big part in your final bid for projects. If done incorrectly, the profit that you expected on a job can be significantly less or you can end up taking a loss on the job. In order to avoid this, having a complete understanding of how much insurance you need per your contract can keep you on budget. Initially, insurance is a relationship business. The insurance market in New York, specifically in NYC, for contractors, is specialized and limited. There are companies that specialize in general contractors, others that specialize in tradesmen, and still others that really specialize in specific types of contractors and scenarios. Therefore, the few underwriters who work for these insurance companies ultimately determine your approval. Naturally, these underwriters prefer to work with insurance agents and brokers whom have the experience and knowledge to get the job done efficiently and profitably for all parties involved. Dealing with a broker or agent that understands the marketplace and has relationships with these underwriters is probably the most important factor in getting approved for a quote. The first, General Contractors (or GC’s), subcontract 100% of their work. Known as Paper General Contractors or Paper GC’s, this type of GC has an advantage because they transfer the risk and responsibility directly to the subcontractor through the use of a solid contract. The subcontractor at the end of the day is the one performing the physical work, so this is understandable. Since the GC has no employees, the general liability policy for this type of GC is solely determined by the gross revenue or the receivables of the business and the amount of subcontracted cost which is the amount paid to the subcontractors. The addition, limitation or transfer of risk by an insurance company on an insurance policy is done by an amendment called an endorsement. They tell us how the general contractor will transfer this risk to the subcontractor. One way is by requiring that all subcontractors have a specific limit of insurance (i.e., $1M/$2M). Many times they require that every contract have a ‘hold harmless’ agreement or require the subcontractor have specific coverage (i.e., action over, 3rd party liability, employee injury liability). The contractor then has specific ways to address these needs and requirements by the use of specific language in the contract. By enforcing these actions with the subcontractors, you are keeping the business protected and minimizing the risk of additional costs. Currently, there are companies and programs like Lloyds of London who offer a great policy for a very attractive premium. Others include James River Insurance Company, RLI Corp (Mt Hawley Insurance Company), MINICO, Argo Group (Colony Insurance Company), American Empire Insurance Company, State National Companies, Prime Specialty Insurance Companies and others. The base cost of these policies can be between 2% and 5% of revenue depending on which endorsements or coverages the policy has. Some general contractors choose to retain or perform certain aspects of the job (carpentry, masonry etc..) and subcontract the remaining portions. At this point let’s remember that the entity actually performing the work is the primary responsibility holder. So, portions of the work retained, will have a higher cost associated with it because the risk is higher. Retained portions of work are based on the yearly payroll associated per classification (i.e., $30k in carpentry, $50k in painting, etc..) DurAmerica can provide a wide selection of carriers and pricing to fit all scenarios and business models. Beyond limits of liability and rating factors, the following are some of the other coverages that a General Contractor should mandate from all subcontractors insurance policies. Requesting this from your subcontractor’s insurance company is the first step in transferring risk. This endorsement will add your business as an additional insured onto their policy. In the event of a claim or suit, your business’ interests can now be represented by your subcontractors insurance company in court avoiding your policy having to cover these costs. Hold Harmless Agreement — A stipulation of this type states that the subcontractor is agreeing to hold you harmless is the event of a claim or suit. They are agreeing to take responsibility of the event and not hold you accountable if out of your control. We can provide samples of hold harmless agreements that are used by other general contractors for this purpose. Waiver of Subrogation — This is an endorsement that prohibits the subcontractors insurance company from trying to recover the monies that they paid on a claim from you in the event that you were the negligent party in the claim or suit. Primary and Noncontributory Wording — This is an endorsement used in the insurance section of contracts to stipulate the order in which multiple policies involved in the same claim are to respond. For example, you want to ensure that a specific subcontractor’s insurance policy responds and pays first in a claim. You also don’t want to involve other policies from other subcontractors on the job before they do so. Action Over, 3rd Party Liability, Employee Injury Liability — Most of us know that if you have an employee, you must also have workers compensation coverage. Beyond workers compensation coverage, when an employee suffers an injury on a job, there can also be a pain and suffering aspect to the injury. 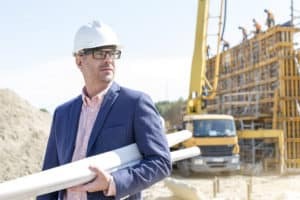 New York State is a state that considers employee injury a pure liability.This means that the employee has the ability to claim that this personal injury suit is the responsibility of the owner of the property where the injury occurred along with the general contractor and others on the project. These types of suits are typically very expensive to cover. Mandating that the subcontractor provides this coverage in the event that one of their employees get injured has become very important in a number of projects. DurAmerica Brokerage can provide this type of coverage in different ways to manage costs optimally. Assistance with Audits — Many general liability policies and workers compensation policies are based on gross sales and payroll figures. Insurance companies in New York conduct an annual audit of the financials for verification purposes. Our team of experts help our clients navigate this complex world by acting as an intermediary between the insurance companies and the accountants to ensure that the audits are completed properly and timely. Risk Management Consultations — The New York construction market is highly competitive, for a contractor to thrive their bids must be highly competitive as well. DurAmerica Brokerage can join the negotiation during the bidding process to manage the insurance requirements being requested, helping our clients be the most competitive and stay ahead of their competition. Subcontractor Insurance Management — Regardless what type of General Contractor you are, you are subcontracting work to various tradesmen. Our construction insurance experts can ensure that the subcontractors are abiding by the insurance requirements in your contract by evaluating the insurance policies of the subcontractor making sure that our client is properly protected during their projects. When you choose DurAmerica Brokerage, you are choosing an insurance partner with over a quarter century of experience helping General Contractors.. YOUR growth and success, is OUR growth and success! Have questions, click here to request a free consultation!